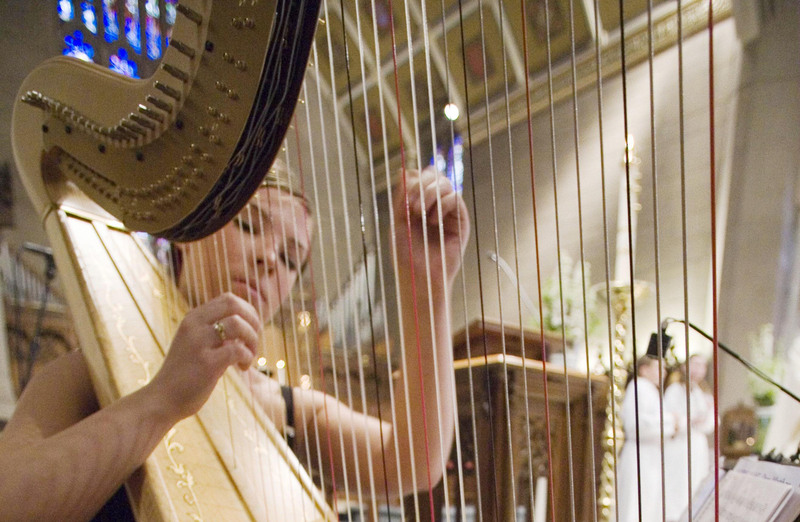 It is my desire to share the joys of harp music with one and all. Please take a look around my site, enjoy the samples of my music, view my YouTube videos, and don't forget to contact me with any inquiries. 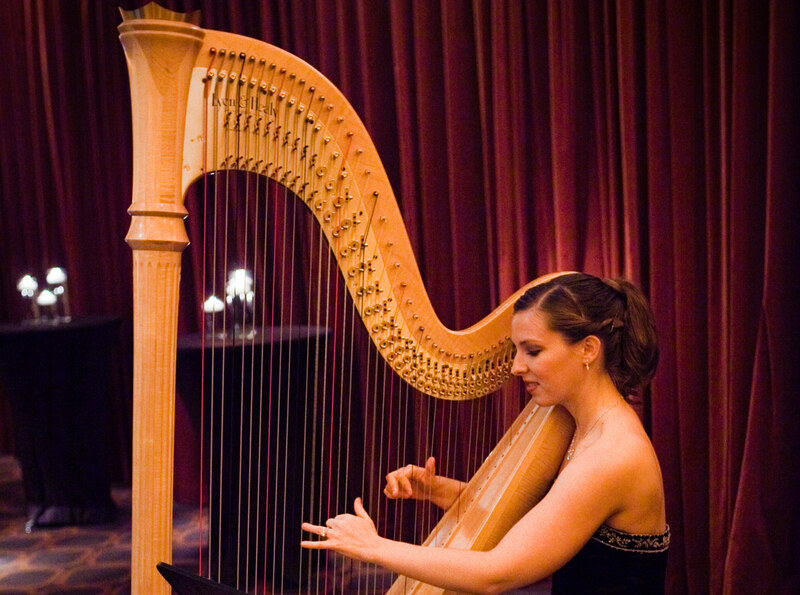 I look forward to hearing from you soon and sharing the beauty of harp music. Keelin (Eder) Schneider is an exceptional, professional harpist with more than fifteen years of performing and teaching experience. 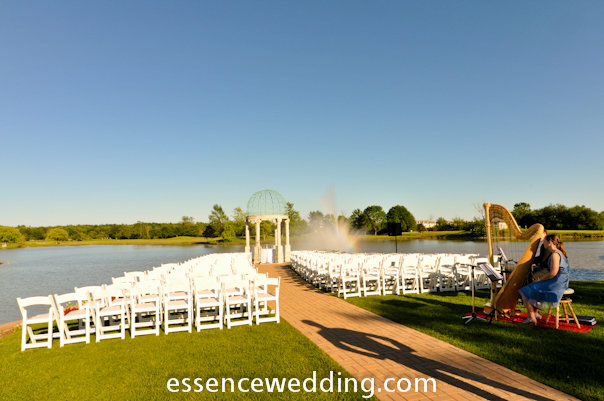 Mrs. Schneider has been seen playing for hotel, restaurant, and mall engagements, parties and receptions, as well as wedding ceremonies and other church services across the Midwest. In addition to her performances, she enjoys working with students though private lessons and class harp presentations at local elementary and middle schools. 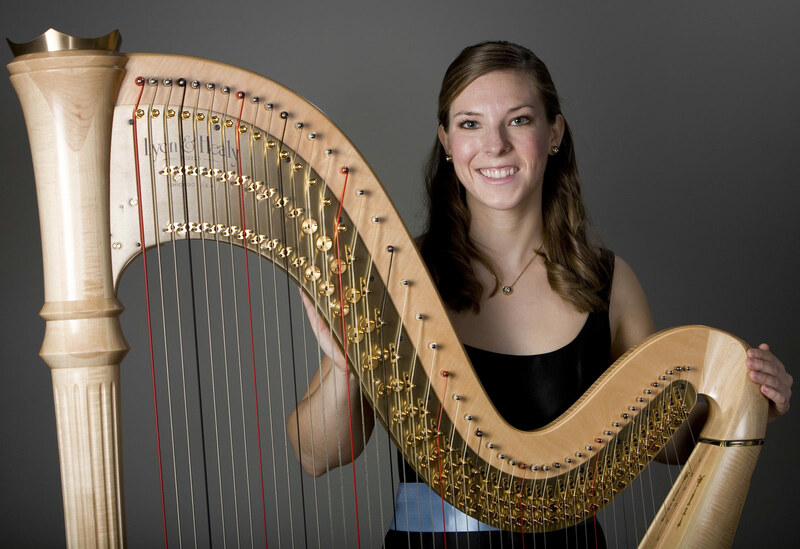 Mrs. Schneider received her bachelor of music degree in harp performance from the University of Illinois at Urbana-Champaign. Her harp music adds an extra touch of elegance to any facility's atmosphere, and her passion for music and teaching shines through her students. Mrs. Schneider's repertoire covers a wide variety of music selections, including: classical, popular, Broadway show tunes, jazz, film, holiday, folk and Irish music, and much more. While her primary focus at UIUC was classical music, her vast array of musical genre knowledge allows her to provide entertainment to clients of all tastes and to teach students of all ages and levels. Mrs. Schneider has a passion for sharing her instrument with others and thoroughly enjoys working and interacting with clients and students. The cheerful spirit, sense of humor, and kindness that she shows to customers tends to reflect beneficially on the establishment where she is performing or teaching. Keelin is available for weddings, cocktail hours, birthday parties, corporate events, holiday parties, funeral and memorial services, and all of your special occasions. 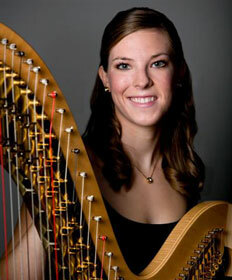 Keelin (Eder) Schneider is an exceptional, professional harpist with more than twelve years of performing and teaching experience. 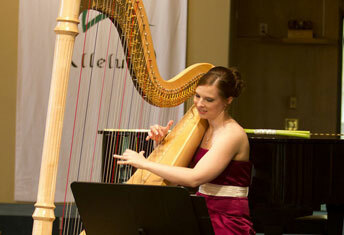 Keelin (Eder) Schneider is available for harp lessons. I have been teaching private lessons to students of all ages throughout my professional career. I love working with children and am more than excited to introduce the harp to others. My enthusiastic personality and passionate dedication help make me an inspiring teacher. 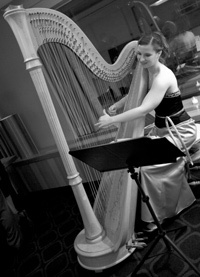 In my private harp studio located in the River North neighborhood in Chicago, I offer both individual lessons, as well as coaching for harp duets and trios. 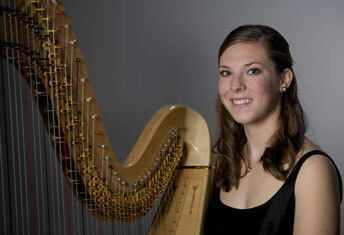 Keelin (Eder) Schneider is available for harp and music presentations. In addition to private lessons, I also am able to teach music through harp lectures to elementary and middle school classrooms. My demonstrations allow me to display and share m love for music, the harp, and working with students and staff members. 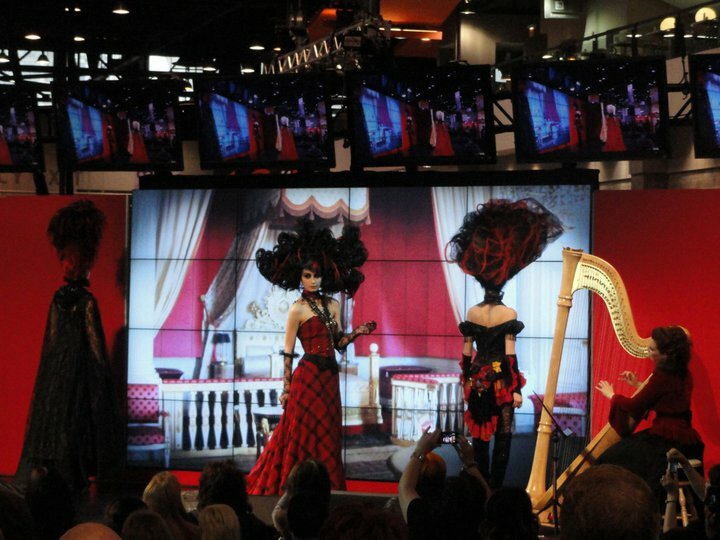 Students become engrossed by the uniqueness of the harp, while receiving "hands-on" education about music history and different music techniques and styles. Please contact me for further information regarding classroom presentations or full-assembly lectures.